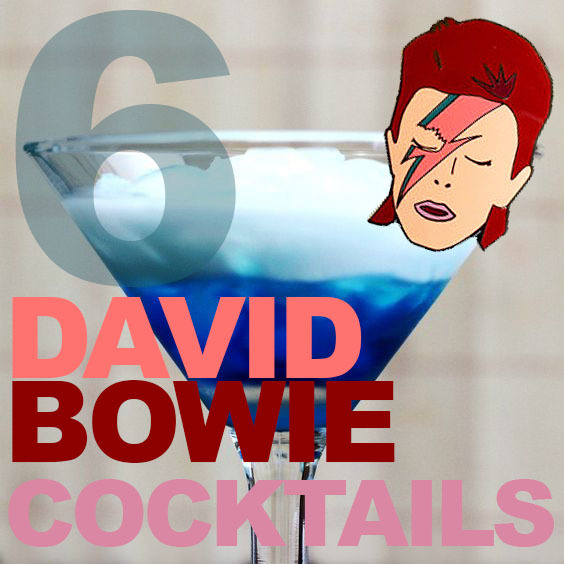 With the legend gone for exactly a year today, there are many ways to pay tribute to remember and celebrate his fabulous style and talent and being a huge worldwide icon, what better way to celebrate his great life than with some totally unique (and exciting) David Bowie inspired cocktails! Pay tribute to the legends life in style! 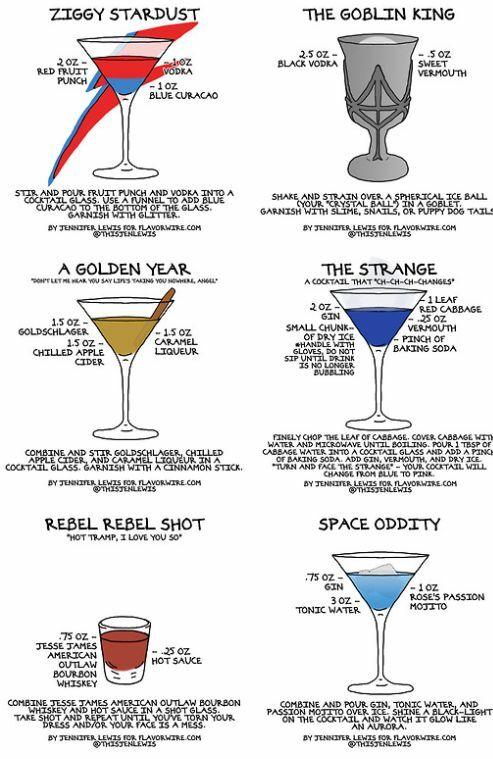 Whilst strolling Pinterest I found this totally awesome infographic of David Bowie Cocktails by Flavorwire, and I think they're totally awesome! There's one for everyone, for example if you're a gin lover then 'The Strange' or 'Space Oddity' might be the one for you. Or if you're a vodka gal or guy then 'The Goblin King' or 'Ziggy Stardust' could be your tipple. But what a cool way to pay tribute to such an important life and inspiration than to celebrate with an exclusive cocktail in Bowie's honour. Anyone feel like hosting a David Bowie Party? Which of these cocktail would be your drink of choice?